Corporate Moves - Moving Services Inc. | Moving Services Inc.
For efficient corporate relocation services that won’t halt your business’s productivity, trust in Moving Services, Inc. We are your corporate moving company that can relocate your business while maintaining your flow of commerce. Moving Services, Inc. has experience in relocating companies all over the country. We understand the importance of schedules and deadlines. We also recognize that your business must continue on a fluid pace in order to keep both clients and investors satisfied. As such, we ensure that our corporate moving services will feel seamless and effortless. We realize this as your corporate relocation company, but also as a successful business ourselves. Now more than ever it’s imperative that your business keeps moving forward. And nobody knows that better than you. Because, when it comes to relocating your people, you don’t have time to deal with problems like real estate negotiations or special financing. These interruptions stop business. At Moving Services, Inc., we work diligently to eliminate the bumps that prevent you from running your business smoothly. We provide local and long distance corporate moves as well as related services such as packing and short-term storage capabilities. Just as your business demands results from your employees, Moving Services, Inc. demands professionalism and order from its staff in every move performed. It starts with a deep understanding of your operational and personal needs. It goes far beyond trucks, boxes and stretch-wrap. It’s insight, trust, integrity and peace of mind. We pride ourselves on delivering individualized relocation solutions that meet the diverse and ever-changing needs of a corporate account. In other words, we stop at nothing to keep you and your employees productive before, during and after a move. Other Corporate Relocation Companies Cannot Top Moving Services, Inc.
There’s nothing we won’t do for you when relocating your business. We provide inclusive corporate relocation services, ranging from move management to storage and logistics to valuation insurance. 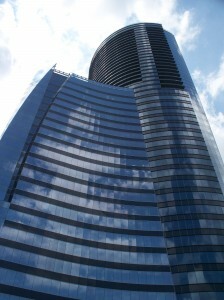 We have a global capacity for corporate relocation with representatives and locations spanning the country. There’s nowhere in the United States we can’t move your business, and no limits to which we won’t go to get you there. For your next office move, choose Moving Services, Inc. as your corporate relocation company. Punctuality, efficiency, and organization are key components of any good employee. At Moving Services, Inc., we stand by the same principles and work ethic allowing your business to easily transition as you relocate. We understand the importance of schedules and deadlines. We also recognize that your business must continue on a fluid pace in order to keep both clients and investors satisfied. As such, we ensure that our corporate moving services will feel seamless and effortless. We provide local and long distance corporate moves as well as related services such as packing and short-term storage capabilities. Just as your business demands results from your employees, Moving Services, Inc. demands professionalism and order from its staff in every move performed. 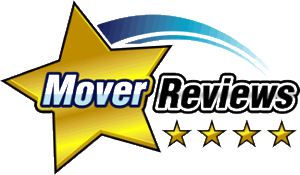 Moving Services, Inc. works tirelessly to provide great service to our great clients.